In this episode I speak with Crispy Doc, a financially independent emergency physician in his mid-40s, married with kids, living in coastal California. We try to keep him a little bit anonymous in this episode. As a blogger, he is still sticking with the anonymous approach, which I can certainly understand. He comes from a pretty interesting family background. His mother was born in Mexico but his maternal grandfather came from Europe where he lost about 90% of his family in concentration camps. His father’s family immigrated from Cuba shortly after Fidel Castro brought the Cuban Revolution. His paternal grandparents had to start over with nothing. From both of these family experiences came a family mantra, “education is the only possession that you can take with you.” This led, from the Cuban side of the family, to all the grandchildren attending Stanford except the black sheep who went to Yale. Quite a remarkable success story for his family. In this episode, we talk more about his upbringing and education but also discuss his mid-career burnout and how it was transformed by financial literacy. He learned to manage his investments. 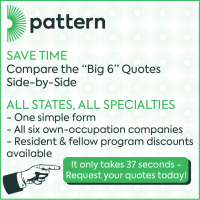 He saved aggressively using smart strategies tailored to high-income professionals. As financial independence came he found that instead of wanting out of medicine he became more satisfied in his career. Listen to his story. See if you can relate to his feelings of burnout and if anything he did to overcome that could be applied in your life so you might start to like your job again. This episode is sponsored by Set for Life Insurance. Set for Life Insurance was founded by President, Jamie K. Fleischner, CLU, ChFC, LUTCF in 1993 which she started while attending Washington University in St. Louis. 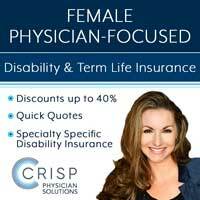 They specialize in individual term life, disability, and long term care insurance. They work on the client’s behalf to shop around to find the most suitable products at the most cost-effective rate. Set for Life is first and foremost a client-centric company. They listen carefully to the needs of clients and shop around to find the best products available at the best rate. For more information, visit Set For Life Insurance. Crispy Doc clearly alludes to burn out, but the name was also kind of a subtle nod to the FIRE Movement, financial independence, retire early. Achieving financial independence was going to be his ticket out of what, at the time he started the blog, was a fairly low quality of life. He was working far more than he wanted to due to understaffing in his group. He was struggling with his first lawsuit, which was ultimately dropped, but which definitely makes you question why you went into medicine. He had just bought his first home, had a toddler and a baby on the way. A lot of stressors that were hitting him all at once, even though everything looked pretty great on paper. He had this terrific wife, two healthy kids, lived near his family in a beautiful coastal area but he found that he wasn’t enjoying it. He was working too much and burned out, having nothing left to give his family when he came home. What did he hope to accomplish with his blog? There are two main messages of his blog. You can definitely regain control of your time if you’re willing to assume control over your finances. Just approaching financial independence is an incredibly liberating experience. If you are burnt out on medicine, if you find that you’re in a rut, you might fall back in love with your job if you do less of it and you do it more humanely. Combining the two tools of financial literacy and strategically cutting back shifts is very powerful. It allows one to live the life they want now, and save for the life they want later. Since work was undermining Crispy Doc’s home life, he cut back on shifts to have more time at home. It took several years but he was able to pass a proposal in his group that made it possible for the physicians to work a target shift load that was customized to their individual needs instead of everyone working equal number of shifts. For me, and for Crispy Doc, it turned out that practicing medicine less made us much happier and more effective doctors. Instead of seeking to exit medicine, Crispy Doc now sits down each year and evaluates what parts of his job he enjoys the most and what aspects he doesn’t and tries to think of a game plan to do something about those areas that might make it less appealing. Crispy Doc has done kind of a series on his blog recently about doctors who have cut back their hours, profiling them and talking about their own personal experience of cutting back. What he is trying to show through the Docs who cut back series is that with a little patience, some financial discipline, and a little creativity, you can either find or create a sustainable career in medicine that works for you and doesn’t rob your family. The hope is that by sharing what these other doctors have done people can use those same tools in crafting their ideal work situation in the long run. Most doctors feel like they only have two choices, shut up and do the job, or leave and find a new job. But Crispy Doc took a different approach to create his ideal work situation. Historically in his group, they took the number of monthly shifts and divided them evenly among the number of doctors and everyone works the same amount. I am not surprised that it made people’s lives better. I think a lot of groups can make changes similar to these that will make a dramatic difference in their lives. In my group we basically looked at our shifts from a market perspective and said, “How much is this shift worth to you?” We ended up giving each of our shifts; a day shift, and one that started later in the morning, and an afternoon, evening shift, and a later shift in the evening, and then finally, the overnight shift, a market weight that was determined by how many people wanted to work them. Those who work the overnight shifts get paid more for them. Those who work the day shifts get paid less for them. It ended up that everyone in the group is working the exact number and the exact mix of shifts that they want to work each month, completely voluntarily. Those who are young and hungry, have mortgages and student loans are, by necessity, working the night shifts, and working more of them. Those who are in a more stable financial position or just don’t want to work night shifts, they can basically buy their way out of them. I’m just amazed that other groups find ways to make it more difficult on themselves, and split these evenly and that sort of thing when it is so easy to just let the market solve the problem. I think if everyone would look at the way their group functions, whether it’s calls or whether it’s shifts or what it might be, they’re likely to find solutions that will make their job much more enjoyable. As I was preparing for this interview, I found a blog post Crispy Doc wrote that can only be interpreted as a negative post about Warren Buffett, noting he was an adulterer, a shoplifter, an aloof parent, and possibly even on the autistic spectrum. I asked him why he wrote that, and what can be learned from looking at Buffett’s lack of success in some areas of his life juxtaposed next to his obviously impressive career and investing success? For starters he wanted to point out that he got his information about Warren Buffet’s life from a book called The Snowball written by Alice Schroeder. Buffett actually called up Alice Schroeder and said, “Look, I have read what you write for The Wall Street Journal and other venues, I’d like you to be my biographer, and I’m willing to grant you unrivaled access to my personal life, behind the scenes.” So acknowledge that the facts in his article would probably not be disputed since they appeared in a an authorized biography. “While my article definitely did not gloss over his flaws and his eccentricities, I think it also emphasized his gifts. He’s set an incredible philanthropic example by pledging the majority of his wealth to the Gates Foundation. That’s something that few people of his stature and his level of wealth have done, and I made it a point to say that’s a huge, huge example he’s setting. His point in writing about Warren Buffett’s gifts, without necessarily glossing over the negative is we as a culture tend to deify financial success, and we assume that money is the solution rather than a tool. When you look at Buffett as a person instead of Buffett as just an investor, it makes it plain that, despite his considerable wealth, he’s faced human struggles and he shares human flaws like the rest of us. So we can learn that if someone this human can succeed despite his flaws, we have no excuse. We should be able to succeed too. And secondly it teaches us to take a second look at our own life, appreciate what we have and realize, we probably wouldn’t trade places with him, in spite of his success. I asked Crispy Doc what he thinks about the fact that there have been 20 to 30 new physician financial bloggers per year for the last two to three years. He thinks that having 20 to 30 new Docs every year who are joining the financial chorus is fantastic. With rising educational debt, the message to get hold of your finances has never been more critical. With physician burn out approaching 50% in many specialties the desire to control your time has never been greater and never felt more important. He feels all these voices have created a virtual doctor’s lounge when you can go online and find 75 physician finance bloggers that are discussing driving a beater and saving 50% of their income. You no longer feel like an odd ball living this unconventional life. Are the 75 physician voices online who are willing to save 40 or 50% of their income, plus the readers who tend to be quite vocal in their comments sections and on the forums, sending a message to the more typical Docs that maybe aren’t saving 20% of their income? He is hoping that this chorus of financially savvy physicians will generate a tipping point for the rest of medicine. 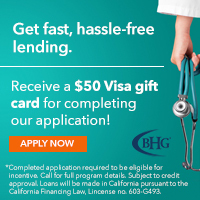 Especially since new doctors are graduating with new record levels of debt, they may be looking to embrace a more frugal lifestyle and a more sensible approach to finances and spending. Also the amount of physician finance bloggers means that it is just that much more likely that everyone is going to find someone who they identify with, with similar struggles, similar financial challenges to overcome, a similar take, and maybe even being in a similar rut, that was able to overcome it and teach them by example. In closing Crispy Doc wanted to leave a message of hope. If you’re feeling intimidated and stressed about this whole finances thing, but you know you should do it, reading any of those three books, Crispy Doc thinks is going to make it a little less scary and a little more understandable and recommends that readers pick up any of those three as their starting point on their journey. I echo that and if you look at Bernstein’s Four Pillars of Investing, and that’s too intimidating, grab The Investor’s Manifesto. If that’s too intimidating, grab If You Can. I mean, that book is like 15 pages long, it’s free on the Internet, no excuses. I hope that you learned something that you can apply in your life from this interview. Go check out Crispy Doc’s blog today. If you have questions this is a great community to find the answers. Ask in the WCI Forum or in the WCI Facebook group. Or if you want to have your questions answered on the podcast go record them here! Announcer: This is the White Coat Investor Podcast, where we help those who wear the white coat get a fair shake on Wall Street. 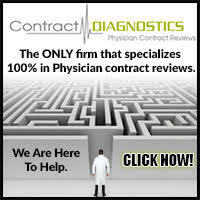 We’ve been helping doctors and other high income professionals stop doing dumb things with their money since 2011. Here’s your host, Dr. Jim Dahle. 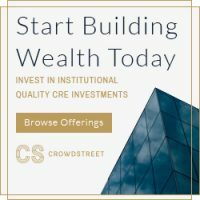 WCI: This is White Coat Investor Podcast number 88, an interview with the Crispy Doc. This episode is sponsored by Set for Life Insurance. Set for Life Insurance was founded by President, Jamie K. Fleischner, CLU, ChFC, LUTCF in 1993, which she started while attending Washington University in St. Louis. 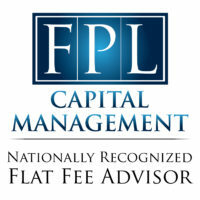 They specialize in individual term life, disability and long term care insurance. They work on the client’s behalf to shop around to find the most suitable products at the most cost effective rate. Set for Life is first and foremost a client-centered company. They listen carefully to the needs of clients and shop around to find the best products available at the best rate. 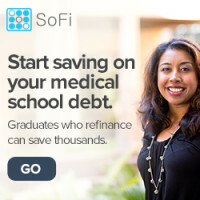 For more information, visit Set for Life Insurance at www.SetforLifeInsurance.com. WCI: Thank you to those who have left us a five star review on iTunes. 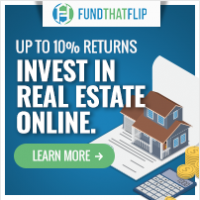 That helps us spread the message to the White Coat Investor far and wide. Also, thanks for what you do in your daily work. Most of the time, you’re on your way into work or you’re on your way home or perhaps you’re working out or just doing some chores around the house, but what you do on a daily basis is hard, and few people recognize that. Even though you get paid well to do it, doesn’t make it any easier to do. WCI: I think it’s unfortunate but it’s true, because people pay so much for their healthcare, they feel like they don’t have to say thank you for it. They’re doing you a service by coming in. In some ways they are, but it doesn’t hurt to say thank you every now and then, and the truth is that patients don’t do it very often, so let me thank you today for what you do. 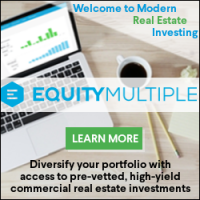 WCI: Also, if you would like to get your question on the White Coat Investor Podcast, leave it at SpeakPipe.com/WhiteCoatInvestor, and we’ll pipe it right into the podcast and answer your question right here on the air. For those of you who are still trying to get a written financial plan in place, don’t want to hire a financial adviser, but want to get a little bit more help than you have now in having a written financial plan, consider taking my online course. It’s titled, Fire Your Financial Adviser. That’s kind of provocatively titled, especially when the first section is, “How to work with a financial adviser,” but that’s mostly just marketing. WCI: The truth of the matter is, this course will take you from beginning to end in writing your own financial plan. That includes a housing plan, an insurance plan, a student loan plan, a spending plan, an investing plan. The reviews are excellent on it, and despite offering a money back guarantee on this thing, seven days, no questions asked, money back guarantee, we’re almost never taken up on it. That’s because it really is valuable. Now, it’s a relatively high ticket item compared to the book. I mean, we charge 499 for this course, but the truth of the matter is, it’s worth a multiple of that and it’s far cheaper than hiring a financial adviser to teach you the same stuff. Check that out today. 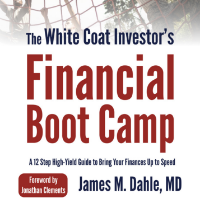 You can find the link on the main website, WhiteCoatInvestor.com or you can go to WhiteCoatInvestor.teachable.com/fire-your-financial-adviser. 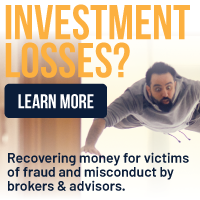 WCI: Our quote of the day today comes from Allan Roth who said, “Some of the worst portfolios I’ve seen have been so mind-numbingly complex that the investors had no idea what strategy, if any, they were following to achieve such horrible performance.” Now we’re going to get into the interview we have planned for today with the Crispy Doc. WCI: Today on the White Coat Investor Podcast, we have a special guest, Crispy Doc, who’s coming to us all the way from his blog, where he’s been blogging now for what? A couple of years now, but I’m going to let him introduce himself. We’re going to keep him a little bit anonymous today and not out his name or his location. Like most bloggers on the Internet, he’s still sticking with the anonymous approach, which I can certainly understand, but welcome to the blog, Crispy Doc. Crispy Doc: Thanks so much for having me, Jim. I’m grateful for the opportunity. WCI: Tell us, to start with, a little bit about your upbringing and family, just so we can get a sense of where you came from. Crispy Doc: Sure. I think the bullet point or the capsule of who I am, I’m the eldest of four kids. Had a middle class upbringing. Went to public schools through high school. Was raised in California with a very tight-knit family. I had immigrant parents, and lived near two sets of grandparents and one set of great-grandparents, so you get the sense that there was a lot of maybe smothering love. Spanish was my first language. Crispy Doc: I’m an Emergency physician in Southern California. Probably, to get to know sort of where I’m coming from, it helps to know a little bit of my family money blueprint. For those of your listeners who are familiar with William Bernstein’s four deep risks in investing, he talks about inflation, deflation, confiscation and devastation. My family’s pretty much the confiscation and devastation background, oddly enough. Crispy Doc: From my mother’s side, my mom was born in Mexico, and her family history actually starts in old country, in Europe where persecution led my grandfather to live in four different countries, learn four different languages fluently, and he lost about 90% of his family in concentration camps. He had sort of that baggage that was brought to the table. Crispy Doc: From the Cuban side of the family, we had confiscation. When Fidel Castro brought the Cuban Revolution, New Year’s Day, 1959, shortly after that, my family immigrated and they basically lost everything. My paternal grandparents had to start over with nothing. I think the lessons of both of those family experiences that were sort of mutually reinforcing were, our family mantra became that, “Education is the only possession that you can take with you.” There were good and bad parts to that. I think part of it was my family basically had a culture of shielding us from harsh realities, and that included money, so we really didn’t talk about money at home at all. Crispy Doc: It may have very well have been because reality had been particularly harsh to the prior generations, and so I don’t blame them, that’s just how it was. Then I don’t know if there might have been a cultural element. Not necessarily true of all Latin families, but in my Latin family we just didn’t talk about money. Now the flip side of that was we were taught that a strong work ethic and higher education were the keys to getting ahead. Crispy Doc: I think the proof of concept there, if you look at just the grandchildren from the Cuban side of the family, of six grandchildren, five attended Stanford and the black sheep went to Yale. That was really what the emphasis was growing up, and I think they had something to show for that. I’m married to a physician. I have two kids, about elementary school age, and we’re living in Coastal California, currently. WCI: Cool. That is a fascinating background. Have you written about that on your blog? I’m not sure that most people in the physician financial blogosphere know that story. Crispy Doc: I have probably alluded to little bits and pieces. I haven’t put the whole thing out there, but it’s a weird intersection, so there are these odd moments in history where my family tends to overlap with … It’s like six degrees of particular characters in history, so I’ll give you one example. My grandfather on my father’s side moved when he was maybe elementary school age from Russia to Cuba. As a result, he spoke some Russian. Well, when the Cuban Revolution came, Che Guevara was in charge of essentially establishing covert communications with the Russians. He summoned by grandfather to his office. Crispy Doc: My grandfather left there just completely sweating bullets. Didn’t really know what to do. The way he tells the story is he had done a favor … When the Cuban Revolution came, they put a lot of political hacks in place and one of those hacks was put in charge of a factory that my grandfather used to oversee. He basically drove production into the ground. Nothing was getting done and what they produced, they didn’t know how to use. My grandfather came in, being someone who kind of knew to be helpful, said, “Look, this is what we’re going to do,” gave the guy some useful advice so that he was able to redeem himself in the eyes of his political superiors and make lemons out of lemonade. Crispy Doc: When my grandfather got this summoning from Che Guevara, he went over to the factory supervisor and came up with a sob story, “I just got this news, my son is a student in the U.S.,” which was true, my uncle was studying here. “He’s been in a terrible car accident, where they don’t know if he’s going to survive the night. I need to get on the next plane out of here.” The supervisor, who was incredibly grateful to my grandfather for getting him out of the mess earlier, wrote him a letter, put the official Communist Party … Or, I guess at that time, the Cuban Revolutionary seal on it. Sent him to the airport with just the clothes on his back, and he went over. WCI: That’s quite a story. Let’s get back to you a little bit. Tell us about your education and your career. Crispy Doc: Okay. I was an undergraduate at Stanford. I went to UC San Francisco for medical school, was at UCLA for residency in Emergency Medicine. Then went to Harvard for an International Emergency Medicine fellowship and to get my MPH. My arc was such that I’d had a number of international experiences in med school in residency. Spent time in Argentina and China as a med student, in Indonesia and East Africa after that, and I kind of had gotten these aspirations to pursue an academic career in International Emergency Medicine. Was looking to find heroes and see if any of those heroes had lives that were compatible with a family life that I would want for myself. Crispy Doc: I did find some heroes. Probably the biggest one that I would really encourage any of your listeners who are interested in pursuing a career in International Health, would be a gentleman by the name of Dr. Rick Hodes. He works at the Mother Teresa Mission in Addis Ababa, and sort of takes care of the sick destitute in Ethiopia and the entire Horn of Africa, and that area. His website is Rick Hodes, R-I-C-K H-O-D-E-S.org. He’s someone who I think is doing incredibly hard work in an incredibly selfless way. Crispy Doc: I met people like Rick and I was really moved by them. There were none of those people who I think were able to balance this sort of family life, having come from this very tight-knit, geographically central Latin family that I wanted for me. I met my wife while I was out there. We kind of both fled academia together and fell goofy in love. Moved to the beach in LA, and now work great community practice jobs. I was really lucky to land in a place with Docs that I like and respect. I’m able to count several friends from residency, including folks who were in my wedding party in my group, and we’re part of a unicorn, democratic independent group. Meaning, we run our own business. WCI: Tell us about where you’re at financially in your life. Crispy Doc: Okay, if … I guess maybe there’s two parts to that. If you look at our portfolio, it’s not terribly complex. We’re probably an 80-20 portfolio, with everything at Vanguard. Bonds are half, in total bond index funds, and half in tips with some munis and taxable. Equities are about 40 odd percent, total stock market, 20% total international, and then 10% REITs. Crispy Doc: If you look at us from sort of progress towards financial independence, I’d say that if you exclude our home and you look at our net worth, we’re probably financial independent for basic expenses, based on 24 times our annual spending, that sort of basic rule of thumb. That, honestly, leaves me a little uncomfortable, because I’m nervous about the usual things people are nervous about, sequence of returns risk, rising healthcare costs in the future. Crispy Doc: I’d probably need to get to about 30x, before I’d feel that we could weather the storm and have a buffer. If we add in childcare and house cleaning, which I think of right now as optional conveniences, but conveniences that my wife loves dearly and isn’t terribly interested in giving up, we’ll hopefully cross that line in about the next five years. WCI: Now, your writing can be found at CrispyDoc.com. Why did you call it Crispy Doc? Were you burnt out? If so, what’d you to not be burned out? Are you burned out now? If so, what’s your plan for it? Crispy Doc: You’re right. Crispy Doc clearly alludes to burn out, but the name was also kind of a subtle nod to the FIRE Movement. Some of your readers may be familiar with FIRE is an acronym that stands for financial independence, retire early. Achieving financial independence was going to be my ticket out of what, at the time, I started the blog was a fairly low quality of life. I’d say at my low point, I was working far more than I wanted to be, due to a few years of unintentional but unfortunate under-staffing at our group. 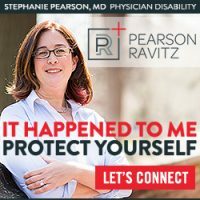 Crispy Doc: I was struggling with my first lawsuit, which was ultimately dropped, but which definitely makes you feel like you have a strange relationship with your job and makes you question why you went into medicine. We bought our first home, which was pretty stressful, and the financial implications of that, especially in California. Then we had a toddler and a second child on the way, so there were a lot of stressors that were hitting me all at once. Crispy Doc: Everything looked pretty great on paper. I had this terrific wife, I had two healthy kids. We lived near my family in a beautiful area in Coastal California, but I found that I wasn’t enjoying it. I felt very burnt out, I was working too much. When I’d come home at the end of each day or after a night shift, all I had left for my wife and my kids were the dregs. Crispy Doc: It was in this low place when I came across this article in The New Yorker Magazine that was profiling Mr. Money Mustache. This is a blogger who introduced me to the concept of freedom through financial independence, as he has for a lot of people. That was my lightening bolt moment. Suddenly, I saw a way out of medicine. I saw that I could get my time back. I started really devouring FIRE blogs, reading personal finance books. In the zealotry of the newly converted, that’s when I started my blog. WCI: You mentioned you felt zealous about it. I mean, why did you start the blog? What did you hope to accomplish? Crispy Doc: I’d come across this idea of financial independence, and I have to say my original goal was I was going to save up and cash out of medicine as quickly as possible. This blog was kind of a way to channel my enthusiasm for the mid-life crisis, because my wife could only hear so much about the excitement of index funds. This was a way for me to find other like-minded people and see if they were going through what I was going through. Over time, it evolved into this way to help other Docs combine financial literacy with strategically cutting back. Crispy Doc: The idea is, combining those two tools is very powerful. It allows you to live the life you want now, and save for the life you want later. Since work was undermining my home life, the very first move I made was to cut back on shifts to have more time at home. I basically was able to pass a proposal at work that made it possible for the Docs there to work a target shift load that was customized to the needs of the individual instead of just allotting every Doc an equal number of shifts. It took years to pass, but it ultimately worked. Crispy Doc: Suddenly, I found myself in this great place. I’d cut back my clinical load, my work-life balance had improved dramatically. I was happier. I felt more connected to the people that were important in my life, and interestingly, I felt more present for my patients. After we went through several years of super saving, I realized two things. The first was that I finally crossed the threshold to financial independence. The second was that I unexpectedly started to like my job again. Crispy Doc: It turned out that doing it less and doing it more humanly made me a much happier and more effective Doc. Now I’ve gone and transitioned over time. Instead of seeking this immediate off-ramp from medicine, I’ve kind of adopted a glide path, where each year I sit down, I try to evaluate what parts of my job I really enjoy and what aspect of my job would prevent me from doing it together. I try to think of the game plan to do something about those weight limiting steps that might make it less appealing. WCI: It’s interesting you mentioned that becoming financially independent and making some changes makes you like your job more. I feel the same way about it, but interestingly enough, the Physician on FIRE does not. What he discovered was when he became financially independent, that he started to be annoyed more by the little hassles at work. When he was sitting there, I think, on these long weekend calls and realizing what he was missing out on at home, that it started to irk him more to know that he was there when he didn’t have to be. Have you ever experienced that? 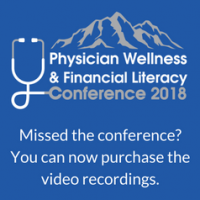 Crispy Doc: I definitely have, and I actually had the pleasure of meeting the Physician on FIRE in-person at FinCon ’18 this year, and talked to him. I think he and I are probably more simpatico that way. I think he’s just looking for a different path. My thoughts would be, I think he really wants to take time to travel with his children, and his super secret weapon is his wife, who is just a really talented teacher and incredibly supportive partner, so that I think that they could do that really successfully. Hop in an RV, travel across the U.S. or go live abroad, and still teach their kids to the level that they want to maintain their education. Crispy Doc: I, my wife and I, I think are both, have our own strengths, but probably teaching our own kids and home schooling would not be those strengths. I think part of the difference is we’re concentrating on having that time in the summers, and with my commitment being reasonable, I’m actually able to travel substantially in the summer, spending the time with our family to have these sort of touchstone moments that when they go on, become older teenagers and resent us for things we screwed up, that we can’t predict right now, we’ll always have those experiences in common. Crispy Doc: I think the Physician on FIRE really wants to live those experiences now, and has this super secret weapon in his wife that they can home school their kids, feel like they’re giving them a great education, and do that wherever they are. I completely understand both sides of that. WCI: How would you boil down your message to readers? I mean, what is the message of your blog? Crispy Doc: I think there are probably two main messages. The first is you can definitely regain control of your time if you’re willing to assume control over your finances. Like you’re saying, just approaching financial independence is an incredibly liberating experience. I think the second message is that if you were burnt out on medicine, if you find that you’re in a rut, you might fall back in love with your job if you do less of it and you do it more humanely. WCI: Let’s talk about that. You’ve had a number of blog posts, particularly recently about Docs who cut back. Actually kind of profiling them and talking about their own personal experiences cutting back. Why do you think that’s important? Crispy Doc: Medicine could be conservative, as a profession, and it can be conservative to the point of being sclerotic. There’s a reason that sclerosis is a pathological state when you study it in med school. I think physicians are at epidemic levels of burnout. We’re working in this deeply broken healthcare system, and we can’t find role models for the type of practice situation that might enable work-life balance. Like I once did, lots of people feel that the only option is to just grind it out as much as you can and then opt-out entirely. Crispy Doc: What I’m trying to show physicians with this Docs who cut back series is that it’s not a binary choice. That with a little bit of patience, some financial discipline and maybe a little bit of creativity, you can either find or create a sustainable career in medicine that works for you but doesn’t rob your family in the process. The folks that I’ve been interviewing have been really generous about sharing their playbooks. The idea is maybe others can take a look at what they’ve done, use the same tools in crafting their ideal work situation in the long-run. WCI: Now, a lot of Docs feel like they can’t … They have two choices. They could either put up and shut up, or they can leave and go to a new job, but you’ve kind of taken a different approach. You’ve actually gone to the job you had and tried to make changes to it such that it becomes your ideal job. Can you talk about some of the work you’ve done there with policies and such in order to kind of fix your job, if you will? Crispy Doc: Yeah, so you’ve hit the nail right on the head, which is that a lot of people feel like we’re sort of cogs in the wheel, and they don’t feel terribly empowered. Again, I’m really lucky. I have a great group. I am unbelievably fortunate, because we are, they’re people that I like and work with, and they’re also friends that I trust. Thanks to the group being collegial to having a sort of culture of givers, I feel comfortable, and I’m not a wallflower. I tend to share my opinion. Crispy Doc: Historically, the way our group had been run is that we took the number of monthly shifts, we divided evenly among by the number of doctors, and everyone worked the same amount per month. A problem came when we were under-staffed for several years for a variety of reasons, and everyone found themselves working more than they wanted to be. Now, for Docs who had traditional arrangements, and by a traditional arrangement I mean a working physician with a stay-at-home spouse, where the spouse absorbs the majority of the impact, that arrangement worked pretty well. It happened to work fine for most Docs, but it didn’t work for my situation. Crispy Doc: I have a working spouse who’s also a physician and she grew, understandably, resentful of my job. Our marriage was on sound footing, it wasn’t that. It just was that she felt it wasn’t terribly fair that she paid the price for my workload by virtue of her having been born with ovaries. We tried to brainstorm and we came up with a policy proposal that maybe what might make it better was to go from every group member taking the same number of shifts, to having each group member get an individually customized shift load. Crispy Doc: I did this a number of ways. The first thing I did was I tried to assess the lay of the land, politically. Well, what did it look like and did I think people would support or oppose any change? About a third of the Docs had these traditional doctor arrangements with the stay-at-home spouse, who handled the home front exclusively. I thought these were the folks who could adapt, because the system worked for them as it was. I figured they were likely to be the most skeptical just because, as far as they were concerned, it wasn’t broke, no need to fix it. Crispy Doc: As serendipity would have it, it turned out she was expecting, so she was a great poster child for this movement, because framing the issue had to provide the greatest appeal. If I’d have tried to bring this as my isolated burnout problem, no one in the group would have really been that sympathetic, because it was my problem to solve, but the way that I framed it, it was being a family-friendly workplace in a group that was lucky to have a lot of really talented, young female physicians, as well as a lot of dual income families, where both spouses were involved in home care. In that way, I was able to give it broader appeal. Crispy Doc: I think I also was able to appeal to more of the traditional situation Docs by saying, “Look, this is an opportunity to restore time to those folks who taught at local residency programs, participated in EMS, performed Urban Search and Rescues, served on the hospital Foundation.” Their interests were also being squeezed by working too much, and I think this was a way to get them onboard. Crispy Doc: The next thing we did was we tried to design it to meet needs, both personal and financial. I’ve already expressed what my needs were, which was reducing my commitment so that I could meet my home commitments, but the young and the hungry Docs or those older Docs who maybe had significant financial obligations at work, they had the opportunity to increase their target shift load so that they could work more and meet their obligations. Crispy Doc: Then finally, the key part of all of this, I think, was structuring it so that those who worked the least still provided the value to those who worked the most. The way that we did that was all members split the burden of undesirable shifts and that would be nights, weekends and holidays. That way those who were hungry for more shifts tended to be adding on weekday days, and those who worked the least had a higher proportion of undesirable shifts. WCI: I’m not surprised, because I think a lot of groups can make changes similar to these that will make a dramatic difference in their lives. I tell people how we pay our shifts in my group and everyone’s amazed. Honestly, I’m amazed that every group in the country isn’t doing this, but I don’t know a single other group that is. WCI: We basically looked at our shifts from a market perspective and said, “How much is this shift worth to you?” We ended up giving each of our shifts, a day shift, and one that started later in the morning, and an afternoon, evening shift, and a later shift in the evening, and then finally, the overnight shift, we gave them each a market weight that was determined by how many people wanted to work them. Those who work the overnight shifts get paid more for them. Those who work the day shifts get paid less for them. WCI: How it ended up is everyone in the group is working the exact number, and the exact type of shifts, the exact mix of shifts that they want to work each month, completely voluntarily. Those who are young and hungry, have mortgages and student loans are, by necessity, working the night shifts, and working more of them. Those who are in a more stable financial position or just don’t want to work night shifts, they can basically buy their way out of them. WCI: I’m just amazed that other groups find ways to make it more difficult on themselves, and split these evenly and that sort of thing when it is so easy to just let the market solve the problem. I think if everyone would look at the way their group functions, whether it’s calls or whether it’s shifts or what it might be, they’re likely to find solutions that will make their job much more enjoyable. Now, it’s not going fix the EMR or anything, but there’s no doubt that we could improve our lives just through simple solutions like what you’ve done in your group and what my group did, honestly, before I joined it. Crispy Doc: From your lips to God’s ears, yeah. From your lips to God’s ears. WCI: All right. Let’s change the subject a little bit. As I was preparing for this interview, I kind of went through your blog and a lot of your old blog posts. I found one of them particularly interesting. You wrote what can only be interpreted as a negative post about Warren Buffett earlier this year, noting he was an adulterer, a shoplifter, an aloof parent, and possibly even on the autistic spectrum. Why did you do that, and what can be learned from looking at Buffett’s lack of success in some areas of his life juxtaposed next to his obviously impressive career and investing success? Crispy Doc: I would start by acknowledging that the facts in my article would probably not be disputed, since they appeared in what was an authorized biography by an author, handpicked by Buffett. While my article definitely did not gloss over his flaws and his eccentricities, I think it also emphasized his gifts. He’s set an incredible philanthropic example by pledging the majority of his wealth to the Gates Foundation. That’s something that few people of his stature and his level of wealth have done, and I made it a point to say that’s a huge, huge example he’s setting. Crispy Doc: He had this incredible ability to find a mentor in Benjamin Graham, and relocate from Nebraska to New York specifically because he wanted to learn from the best and most inspiring mentor he had. He’s someone who sets quite an inspiring example. I think that’s a positive. He also had this misfit identity that he had cultivated, and it’s something that my wife and I actually talk about, actively, cultivating in our kids, because it enabled him to develop what the book called an “inner scorecard.” This ability to allow your internal self-appraisal to matter more than any external validation or external judgment from other people. Crispy Doc: I think my point in writing about his gifts, without necessarily glossing over his warts, is we as a culture tend to deify financial success, and we assume that money is the solution rather than a tool. When you look at Buffett as a person instead of Buffett as just an investor, it makes it plain that look, despite his considerable wealth, he’s faced human struggles and he shares human flaws like the rest of us. Crispy Doc: In answer to your question, I think what you can learn is number one, if someone this human can succeed despite his flaws, we’ve got no excuse. We should have no excuse for our failures. We should be able to succeed too. I think the second thing it teaches us is it gives us a chance to take a second look at your own life, appreciate what you have and realize, you know what? Odds are, we probably wouldn’t trade places with him, in spite of his success. WCI: It’s an interesting take on Buffett I don’t think you hear very often. I think mostly because people only write about him in financial circles, and so their focus is necessarily on the finances rather than the other aspects of his life, even though you hear all these interesting stories about him going by McDonald’s every day on the way to work. 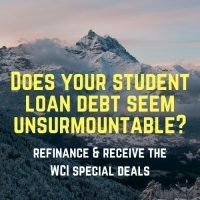 WCI: You have an obvious interest in entrepreneurship that I share with you, but I’m interested in hearing your take on entrepreneurship as a practicing physician. Crispy Doc: I think, generally speaking, I support it and I’d like to get better at it. It doesn’t come as naturally to me as it does to my wife and other friends, but I’m interested in learning more about it. Again, with that kind of growth mindset of, “I can work hard, I can study with the best of them,” I think I can get a handle on it. I have an uncle who was a very successful entrepreneur, and many friends and acquaintances with mixed records of success, from time in the Bay Area in the 1990s during the dot.com boom and bust, which just happened to coincide with when I was an undergraduate, while I was at Stanford, the Google and the Yahoo guys were there, and then going on and living in San Francisco when it became kind of a huge dot.com area. Crispy Doc: I don’t think that I had the mindset to forego the sure thing that medicine represented, and sort of jump off course, pursue a dot.com venture. There was a med student ahead of me by a year who joined Epocrates when it began, and that person took off in the med tech space. I think maybe being the son of immigrants who projected a lot of their hopes on me made me feel a little bit like I shouldn’t, but I also don’t think that I had that innate drive. I don’t want to, I’m not going to say that I don’t think I have elements of the x factor, because I think that would be selling me short, but I think that it’s not something that I was naturally inclined to adopt, and that I think I’d like to cultivate over time. WCI: Now, you talk about cultivating over time. You’re over two years into a for-profit blog that you’ve described as a vanity project. How’s that going, from an entrepreneurial perspective, and what do you think about the fact that there have been 20 to 30 new physician financial bloggers per year for the last two to three years? Crispy Doc: Let me answer your last question first, and then we’ll go back to the entrepreneurial side. What do I think that there are 20 to 30 new Docs every year who are joining the sort of financial chorus? I think it’s fantastic. I think with rising educational debt, the message to get hold of your finances has never been more critical. I think with physician burn out approaching 50% in many specialties, including our own, the desire to control your time has never been greater and never felt more important. Crispy Doc: My sense is that all these voices have created this virtual doctors’ lounge, right? In the old days, you’d go to the doctors’ lounge and someone would share a hot stock tip or discuss their latest sports car. Now you go online and you’ve got over 75 physician finance bloggers, and they’re willing to discuss that, hey, they drive a beater, just like you do. 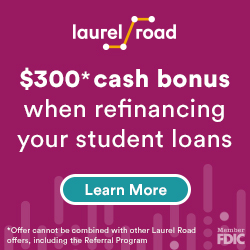 Or, hey, they’re saving 40, 50% of their income, just like you are, and so it no longer makes you the oddball in the room to be financially savvy or to have an unconventional approach to saving. Crispy Doc: I happen to think that it’s fantastic. I think the plurality of physician finance bloggers means that it’s just that much more likely that you, as a physician, is going to find someone who you identify with, with similar struggles, similar financial challenges to overcome, a similar take, and maybe even being in a similar rut, that was able to overcome it and teach you by example. Crispy Doc: Going back to that first question, how is it going? I think the past two years for my blog have really been focused on writing consistently, building up a readership, and trying to understand the folks that connected with my writing seemed to come back for second helpings. Those folks come in two flavors, generally. First, there are these newbies. They’re fresh out of residency, they aspire to be financially savvy, and a big part of that is that they value lifestyle more than their predecessors. They look out at this scary workplace, and they look at people who are working these demanding hours, and they’re trying to figure out how they’re going to reconcile that with their ability to lead a lifestyle where their priorities are central. Crispy Doc: The second group tend to be mid-career physicians who find themselves in a rut like I was. They’re burnt out, they may be struggling with depression, struggling to handle the curveball that is having a new baby or dealing with a divorce. They feel very out of control, they’re looking for a lifeline, and they’re ready to accept and embrace a big change if it gives them control of their life and control of their time again. Crispy Doc: Sort of in answer to these folks, I’m going to be offering a service call that I call Teach Me to Fish. It’s basically going to act as a starter kit for a basic do it yourself portfolio. The idea behind it is it’s a financial literacy coaching service. The premise is that medicine’s kind of trained us, historically, to be comfortable with the see one, do one, teach one approach. I can read exhaustively about how to place a chest tube, but the first time I actually placed one it gave me tremendous comfort to have a trusted guide looking over my shoulder to reassure me that I was doing it correctly. Crispy Doc: I imagine you have this experience more than anyone, where a newbie friend runs up and gushes enthusiastically about having just made their big, first purchase of the VTSAX. I’m starting to get texts of moving quotes, where a friend that I’ve recommended, a William Bernstein book, reads it and just needs to share that passage right at that moment. It feels great, and you feel like you’re making a difference. You also feel like you’re cultivating people that you can share this enthusiasm with. Crispy Doc: The way that I think I could be most effective for my readers is to try to recreate that experience of sitting down with a guide you trust, asking that friend to look over your shoulder and make sure you don’t screw anything up. The idea here is I’d focus on helping people figure out how they can track their annual income, figure out their net worth, define what their target net worth will be so that they have sort of this goal of what constitutes financial independence for them, and create a roadmap to getting there. Crispy Doc: There will be a lot of important critical financial tasks like figuring out what your risk tolerance is, looking at different asset allocations to find out what’s right for you. Figuring out if there’s a simple, lazy portfolio that meets your needs. The idea is, these are subjects that feel really intimidating the first time you do them and for those people who want the feeling of having a senior resident or an attending guiding them through their first high-stakes procedure, I’d like to serve that need. WCI: Have you found blogging to be more challenging or less challenging than you expected it to be, as far as producing the blog, writing, etcetera? Crispy Doc: It’s definitely more challenging. I think there are technical aspects of just managing a WordPress site that I’ve learned and continue to learn over time. I think there’s a lot of regulation in what you say and how you say it that you have to be aware of. 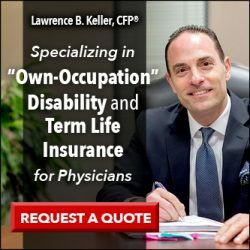 I think, as a physician certainly, there’s the aspect in the back of your mind that, hey, you need to do things in a way that’s going to protect your assets, so that your vanity project doesn’t suddenly become a liability for your family and their well being. WCI: That’s a good tip for all of us, I think. Have you, what about as a business? I mean, it’s a for-profit blog you’re running. Did you find it was easier or harder to make money doing it than you thought? Crispy Doc: I think I’m just hitting the point of making money right now. It’s going to be something where the first two years, when I read your story, when I read Physician on FIRE’s story and when I looked at a lot of other people, I realized that the first thing you have to become is predictable and known. Crispy Doc: When I talked to a lot of friends who are more successful bloggers, they said, “The key is, if anyone’s going to trust you with their business, they need to get to know you, they need to get to like you, and they need to feel like you are someone that they’d want as a guide.” That business part is just coming to fruition now, having worked for two years to build up that factor of being known and trusted by the people who come back and read me. WCI: Now, you mentioned that in this online physicians’ lounge that we’ve created, there’s a lot of people that now can feel okay that they’re saving 40 to 50% of their income. That’s a very small percentage of Docs, in my experience. WCI: Do you think the fact that there are 75 physician voices online who are willing to save 40 or 50% of their income, plus the readers who tend to be quite vocal in their comments sections and on the forums, do you think that’s sending a message to the more typical Docs that maybe aren’t saving 20% of their income? If so, is that good, is that bad? What kind of a message are we sending to the vast majority of Docs by having these platforms? Crispy Doc: My wife said, “Yeah, that’s really not our situation. We’re pretty compatible. He really lends a hand, he helps with the mental load, he helps with the logistics.” The first cousin looked at my wife and she said, “You know something? You guys are weird in the same way.” I think that feeling that there are other people out there with you that are weird in the same way you are, that’s all it takes sometimes to feel supported, and that’s all it takes to reach a tipping point. Crispy Doc: Do I think that we’re going to reach those 70% of doctors that really haven’t changed their lifestyle? I’m not sure. I think that the key is for those 30% to know that there are other people out there who are similar to them, who share their eccentricities, their interests, who are interested in living an unconventional life and having a better work-life balance within medicine. Crispy Doc: It’s a huge, huge thing to know that other people have done it, to have role models, to share playbooks, and I think that’s what’s going to eventually help generate a tipping point for the rest of medicine. 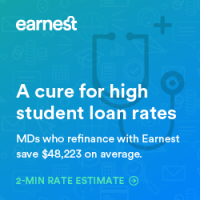 Especially since we know that millennial Docs are graduating with new record levels of debt, I think a lot more of them are looking to embrace a more frugal lifestyle and a more sensible approach to finances and spending. That’s where I think we’re going to make a big difference with that virtual doctors’ lounge. WCI: That’s, we’re getting a little short on time. I want to wrap this up by giving you an opportunity to say what you like. Here, you’ve got the ear of somewhere between 15 and 20,000 high income professionals, mostly Docs who are interested in finance. What would you like to say to them? Crispy Doc: I’m going to echo a little bit again this message of hope that if you’re willing to assume control over your finances, then you can control your time, and that’s a huge win for you, if you can just sit down and get control over the finances. Finances don’t have to be difficult to master. There’s a chance, if you’re feeling burnt out and like you’re kind of at the end of the rope, that you might fall back in love with medicine if you do a little less of it and you can practice it more humanly. Crispy Doc: Finally, that there are amazing resources out there, including your blog, Jim. Including people who could help you, if you are feeling a little uncertain of your abilities or if you feel like you’d like that reassurance. There are people out there that can help, there are terrific resources, and it’s really, there should be no excuse for you to take advantage of those resources, of those books, of the people who are out there. Crispy Doc: The last thing, if I may, is that I have sort of three books that I call the holy trinity of physician financial literacy. One of them is yours, one of them is William Bernstein’s, The Four Pillars of Investing, and one of them is the Bogleheads’ Guide to Investing. If you’re feeling intimidated and you’re feeling like this whole finance thing has you stressed out but you know you should do it, reading any of those three books, I think, is going to make it a little less scary, and make it a little more understandable. I would really recommend that your readers pick up any of those three as their starting point to sort of start their journey. WCI: I also love all those books. If you look at Bernstein’s Four Pillars of Investing, and that’s too intimidating, grab The Investor’s Manifesto. If that’s too intimidating, grab If You Can. I mean, that book’s like 15 pages long, it’s free on the Internet, you know? WCI: There’s no excuse not to read a Bernstein book since he’s put that out. Crispy Doc: I would agree. I would agree wholeheartedly. WCI: It’s interesting since I’ve been doing this podcast, the first few podcasts or somewhere in the first few podcasts I kind of thanked the doctors for what they did. Then I stopped doing it for a few episodes and I got a ton of feedback from people going, “How come you don’t say that anymore? You’re the only person telling me, ‘Thank you’ all day.” I thought, “How terrible that you see 10 or 20 or 30 patients in a day and not one of them says, ‘Thank you’ to them?” I want to give you the chance to thank all those around you, all those listening to this for what they do each day. Crispy Doc: I would echo that. Thank you for what you do. It matters, and it matters too far more people than just you and your family. WCI: Absolutely, I agree. Well, we’ve been talking today to Crispy Doc. You can find his blog at CrispyDoc.com, it’s a great blog. The headline at the top is, Reclaim Your Time, Find Your Mojo and Become Financially Literate. I would echo that message as wholeheartedly as I can. 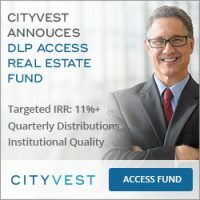 Thank you, Crispy Doc, for being on the White Coat Investor Podcast. Crispy Doc: Thanks so much for having me, Jim. WCI: This episode is sponsored by Set for Life Insurance. Set for Life Insurance was founded by President, Jamie K. Fleischner in 1993, which she started while attending Washington University in St. Louis. 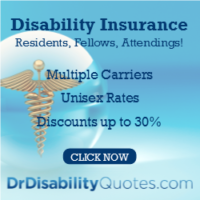 They specialize in individual term life, disability, and long term care insurance. They work on the client’s behalf to shop around to find the most suitable products at the most cost-effective rate. Set for Life Insurance is, first and foremost, a client-centered company. They listen carefully to the needs of clients and shop around to find the best products available at the best rate. 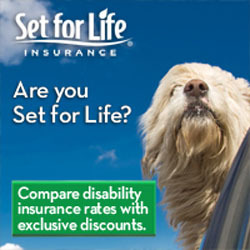 For more information, visit SetforLifeInsurance.com. 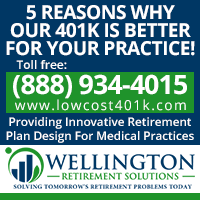 WCI: If you haven’t yet put a financial plan in place, consider taking the White Coat Investor’s Fire Your Financial Adviser course. This online course will take you from the beginning to the end and help you get your own written financial plan in place that you can follow to invest in success. Head up, shoulders back. You’ve got this, and we can help. 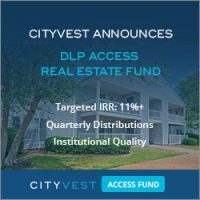 There’s an entire community of White Coat Investors that want you to be financially successful. We’ll see you next time on the White Coat Investor Podcast. Disclaimer: My dad, your host, Dr. Dahle, is a practicing Emergency physician, blogger, author, and podcaster. He is not a licensed accountant, attorney or financial adviser, so this podcast is for your entertainment and information only. 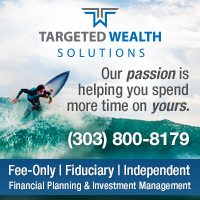 It should not be considered official, personalized financial advice. Crispy Doc is a wonderful example of how to handle burnout and work-life balance. After meeting him in person at Fin Con, I can attest that he is the real deal, too. The more that I think about this whole balance thing, the more convinced I am that heading this direction will be my eventual goal, too. “Cutting back” should solve a lot of problems for my family where we have two full-time working spouses, too. Though in my situation, I’ll be asking to “cut back” to full time work as I’ve worked 1.3 FTE over the past 18 months. In the end, I think administrators will start to realize that doctors who have a better work-life balance are happier doctors, and happier doctors take better care of people. Really glad that you interviewed Crispy Doc on this one! And his “doctors who cut back” series does a great job exploring this idea further. I don’t think administrators like docs who cut back at all. Mine are currently giving me a hard time about not working enough hours to qualify to buy (yes, I pay the entire amount) health insurance through them. It’s interesting that scaling down isn’t more acceptable for physicians. Doctors have all of the job characteristics where going 50% time or 80% time makes sense: impact scales with time, impact is direct on client (patient), higher income, longer baseline hours, no “tipping points” where scaling down dramatically impacts a product or service. I wish it was more typical for doctors to be able to reduce a bit of time for a bit of reduced income. That trade seems like a no-brainer for many doctors. Speaking from the perspective of my wife being a medical resident..! As more millenial docs enter practice with a desire to live a more balanced life, these ostensibly rare conversations about accommodating nontraditional clinical paths are bound to become more commonplace. The most desirable jobs that attract the most talented docs will eventually be able to highlight a glide path built into the job. If employer A offers job sharing or the ability to reduce clinical load to care for young kids and aging parents and job B is dogmatic and inflexible, I’d suspect more people will compete for job A. To stay competitive, employers will need to demonstrate flexibility and highlight balance. Like everything in else in life, administrators will have to adapt or those that work for them will force them to by voting with their feet. Also, I work in academics. So, the clinical frontier is not the only thing that is valued where I work. This might aid me in these discussions as more time off potentially means more productivity in other areas of my life (while also providing flexibility for work-life balance). Not sure that’s true in private practice. I am a huge fan of Crispy Doc. I love his writing style and consider him a true wordsmith as he conveys important messages in a humorous way that makes you feel like you are discussing topics with a close friend. It is a wild coincidence but I happened to release an interview with Crispy Doc today as well (the first of two parts). I will bet my portfolio that he will see way more traffic from this podcast than my interview, lol. But he was a great one to have under my X-ray beam. I too believe that a rising tide raises all boats when it comes to physician bloggers. Even though there seems to be a lot of voices popping up recently (mine included), it gives people a lot of options on which Voice resonates with them the most. Everyone has different perspectives and I have learned the most from those who have a view that I never even considered (it is good sometimes to step out of the echo chamber). Although it seems like physicians are getting more financially savvy, I feel this is because we are biased in the fact that we interact with people who visit our sites only (other bloggers and those docs who get it). In the grand scheme of things, the majority of physicians are still not getting the message of financial independence as evidenced by paycheck to paycheck living or working not because they love it but because they are bound financially to it. Some of the comments against Physician on FIRE in that business insider post about his choice to leave anesthesiology, for example, prove that mainstream medicine is still a long ways away from accepting the principles of FIRE or FI in general. I really enjoy the virtual docs lounge, where each of us can find a physician finance blogger we identify with and whose path we think we could emulate. When it comes to personal finance and personal career choices, you don’t need a randomized, controlled prospective double-blinded trial. You need an n of 1 role model who shares their toolkit and shows you it can be done. You are someone’s n of 1 out there, Xrayvsn, and that’s a meaningful impact you’ll have that you may or may not ever learn about. By working less, you get more out of work and life in general. Such a wonderful dynamic. I’m too early into my career to have true appreciation for the trade off but know I will eventually reach a point where I hope to discover if this is true in my own life. I enjoyed the interview and was happy to hear more about your story and how you were able to reach financial independence and peace of mind. This is terrific. For MDs, one of the top priorities *has to be* protecting against burnout. The #1 factor in your long-term earnings is whether you stay happy, healthy, and productive over the long run. Getting burned out ruins your best asset — your human capital. It’s worth cutting back by 10%, 20%, or even 50% if it keeps you fresh and keeps you in the game. Totally agree and couldn’t have said it better myself. I wondered if I might one day end up on a WCI podcast. I’m not sure how I could ever follow a performance like this though. CD came across just the way he is in person: caring, humble, articulate, polite, savvy, and filled with interesting stories. The future of physician financial blogging looks bright! I just discovered that one of my personal favorite bloggers has done this podcast. I am looking forward to listening to it later today.